Eurovision fans have started the weekly ritual of gathering around their web browser, searching for a live stream of the TV stations around the continent. As each country searches for their Song for Europe, we all want to watch the progress. For everyone else, here’s the recap. You might remember the steadicam shot from The Eyes That Never Lie, but there’s much more to Petr Elfimov than a white lyrca jumpsuit and 80’s rock riffs. Now avaialble to download from his website, the album “I Want…” is a wonderful showcase for the Belarusian singer. Poll: Was Düsseldorf the right decision? 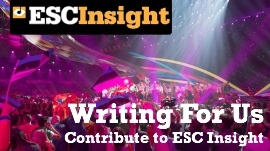 Tell us if you think Düsseldorf the right choice to host the Eurovision Song Contest 2011 in this week’s Insight poll. The National Finals are under way, and Ukraine is first on our screens as Sweden’s Web Joker final is up next. The stage is under construction for Junior Eurovision and the ConSong 2010 winner is announced. 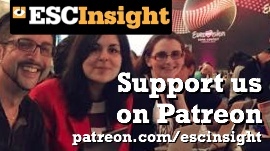 This weekend’s ConSong 2010, held in Edinburgh, like many Eurovision parties, is a great look at what makes Eurovision so much fun to follow all the year round… not just during two weeks in May.